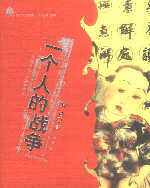 "Lin Bai has always stuck to revealing women's sexuality, relentlessly grasping readers' attention through her insights into women, women's experiences, lesbianism, sexual topics such as masturbation, and sexual feelings throughout history. Much of her work is new, with thought-provoking ideas emerging from a female perspective." Lin was born in southwestern Guangxi Province. 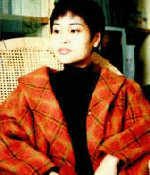 She began writing in the 80s and migrated to Beijing in the early 90s. 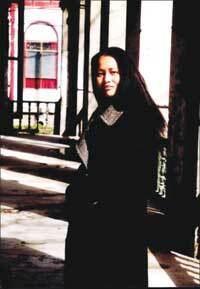 Lin is largely recognized in China for her personal, autobiographic style full of private revelations. Her work is deeply romantic, employing the novel in a distinctive style to describe the deep psychological and emotional desires of women. Her works are bold and fearless, with some reproached for inappropriate revelations of private issues. Recurring motifs in Lin's work are irreducible personal differences, self-doubts, and self-denial. Paradoxically, as can be seen inOne Person's War, a salient lesbian identity by her main character is called into being by repeated utterances to try to negate that identity. Lin's latest novelThe Records of Women's Gossipwon The Third Media Awards for Chinese Literature. Critics describe the story as a turning point in the writer's style. Written in natural colloquial language, Lin depicts the deepest and subtle inner feelings of Chinese women in rural areas. Soon after its release last year, it became a countrywide best seller. Lins short stories, novellas, and novels are noted for their sensitive treatment of female sexuality. They have been acknowledged by national literary critics as fine Chinese feminist writing examples. Although Lin's daring explorations of female sexuality are not limited to the desires between women, lesbianism is one of the recurring themes. Years before cosmopolitan gay activists became vocal about lesbian issues in the media, Lin's fiction had already challenged homophobia as a form of internalized social discrimination. For example, Lin'sOne Person's Warhad to be rewritten before it could pass the censors and be published as a full-length book. Duomi, the protagonist of Lin’s autobiographical novel,One Person's War, details the instinctual urges as a child exploring the sensations of her own private parts and does so by enlisting another girl's assistance. It begins by relating the experience of a girl's masturbation. It ends with the girl, Duomi, selling out her own marriage. In between the novel relates how she gets pregnant out of wedlock, has a miscarriage, and these sorts of experiences.